For patients experiencing impaired vision because of sagging eyelids and want professional cosmetic eyelid rejuvenation. We also specialize in surgical solutions such as eyelid lifts or blepharoplasty. This is a surgery that includes restoring droopy eyelids by getting rid of excess skin, muscle, and fat. Progressing years can cause eyelids to stretch, and the muscles that support them can deteriorate. In addition to producing an older look, this can impair peripheral vision. Blepharoplasty can reduce or eliminate this issue. Upper eyelid blepharoplasty, also called eyelid “lift”, is a surgical procedure that removes excess skin and fat in the upper eyelids. Excess skin can hang over the eyelid interfering with vision. In other cases, this excess skin can produce a “tired” feeling by requiring constant effort to keep one’s eyes open. Excess skin can also produce the appearance of “weariness”, causing others to inquire about your health, sleep, and wellness. Upper eyelid blepharoplasty requires skin incisions that can be performed with a scalpel, an electric needle, or a laser. The incisions are well concealed along the natural eyelid creases. After the excess fat is removed, the skin is closed with very fine sutures. Because these incisions are strategically placed along the natural contours of the eyelid, the healed wounds are barely visible. Lower eyelid blepharoplasty is a surgical procedure that removes the excess fat and skin in the lower eyelids. This excess tissue appears as “bags” or discoloration under the eyes. 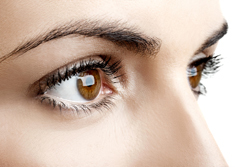 Like upper eyelid blepharoplasty, lower lid surgery can be performed with or without the laser. Not all lower lid surgery requires a skin incision. Typically, the surgeon makes incisions in the inside (transconjunctival approach) of the lower eyelids. The excess fat is removed and incisions are self-sealing. This approach is frequently used in conjunction with laser resurfacing of the lower lids. Alternatively, the incisions may be placed just beneath the lower lid lashes through the skin, usually with a scalpel. This permits direct removal of excess lower eyelid skin. These incisions are concealed by the natural eyelid contour and lashes, and are barely visible.